I have heard this same question from so many people that I had to find an answer. I have been playing both the games for a while now and I think I have found a suitable answer. PUBG stormed the games market just when people were fed up of playing PvP and battle Rosie games like Clash Of Clans, Clash Royale etc. PUBG entered the market like a storm and became the king. For the last 8-9 months, it has been tending as Top #1 Trending Game on Play Store. People ask what does PYBG have that others donut? What makes PUBG a favorite game of both boys and girls? The answer is simple. It is a Realistic Battle Royale game. A game which has awesome graphics, nice gameplay, exciting modes of battles and above all, a killer PvP instinct. But the question is, what about those people who want such experience but in a less data expense? What about those who don’t want to spend, or don’t have the means to spend 1.6 GB of data and space? Well, don’t worry guys. There’s something for you as well. As a second option to PUBG come games like Free Fire and CrossFire (both are from same developer Garena Inc.). But if you want a better one, go for Free Fire. 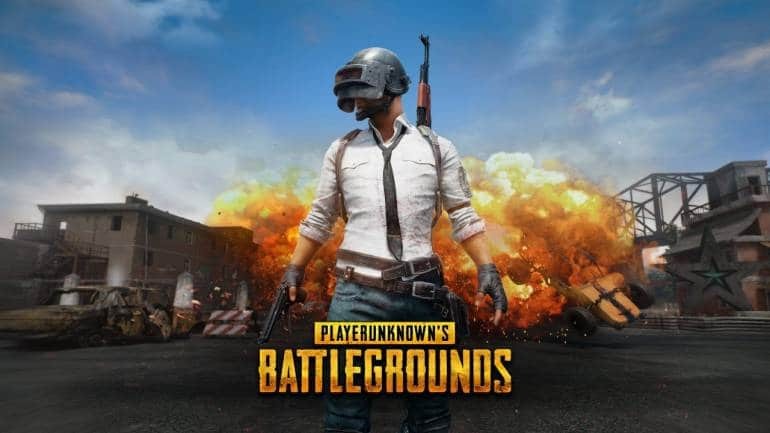 In this article, I’m going to tell about the features of PUBG and pros and cons of Free Fire. In simple words, I’m going to explain how someone can choose Free Fire if he doesn’t want to spend 1.6 GB. 1. You get realistic graphics, awesome gameplay and nice controls. 2. You get a total of three maps, where you can play as of your choice. 3. Two types of modes – Classic and Arcade. 4. Again Arcade mode has four types of matches – Quick Match, War Mode, Mini Zone Mode and Sniper Training. 5. Classic mode is basically Classic! I mean to say that you will play a long-term match here against a minimum of 99 other players. It will a long one, where you have to have patience. 6. The Quick Match, War Mode, Mini Zone Mode and Sniper Training games will be short ones. 7. The developers have introduced bots for the noobies (new ones). These bots will be less attacking and thus will help the new players learn how to play and shoot. Believe me it’s a great feature. As your level increases, the amount of bots will decrease. 8. You will get tons of guns and bullets along with varieties of explosives. And the guns and bags have skins too! 9. You will be able to drive various vehicles like cars, Jeeps, mini-buses, bikes etc. 10. The maps are large ones with many ambushes and buildings to collect loot from. 11. As you play more and more games, you will increase your level and RP. This will fetch various reward too. 12. You can play alone in Solo Mode, or have a partner in Duo Mode or can form a group of A for in Squad Mode. Don’t have friends? Don’t worry. During matchmaking, you will be paired or grouped with other players. 13. There are millions of players playing throughout the whole world. 14. The feature that I like the most is that during matchmaking, you won’t have to wait for long, longest being a mere 11 seconds. Of course the rain is stated in point no. 13. 15. You will be able to talk to other players, both of your own team and also your rivals. Now let’s talk about Free Fire. 1. Awesome graphics, gameplay, and controls are better than that of PUBG. 2. Two maps where you can play. 3. Three modes of play – Classic, Rush Hour and Death Race. 4. You already know what Classic mode is, and Rush Hour is the exact copy of PUBG’s Quick Match mode. And Death Race is my favorite, where you Erik be given vehicles and you will pay alone or in a pair, with the vehicles being provided with rockets and guns, you will have to chase your enemy in that vehicle and kill them. 5. Various types of guns, with skins. 6. Various vehicles like jeep, carriers and the latest updates being Monster Truck and an awesome bike. 7. Play more games and increase your level. Like PUBG, you will be given rewards for increasing your tier, like Bronze, Silver, Gold and up. 8. Three modes, Solo, Duo, and Squad. 9. Free spins each day, and you get items depending on your luck. 10. The best part here is unlike PUBG, you can summon your own airdrop. The game provides air drops regularly, but being able to summon own airdrop is a different thing. 11. It’s easier as compared to PUBG because in PUBG when you target an enemy through a scope, it doesn’t show the proper targeted red mark which confirms that the enemy is there. But in Free Fire, when you zoom in through a scope, the red mark is shown. 1. Only two maps, compared to that of three of PUBG. 2. Fewer varieties of guns and explosives. 3. Fewer varieties of vehicles. 4. Chatting is restricted to own team only. 5. Much time is taken during matchmaking, extending to even 60 seconds. 6. Only a total of 50 players, half of that of PUBG. 7. No training mode or practice in form of bots. 8. Health healer is only two types, mushrooms and medikits, whereas in PUBG the same is in form of energy drink, painkillers, medkits, bandages etc. That’s it about Free Fire. Well, there must be some difference between a game of 1.6 GB and 340 MB. Here there’s a little difference. Yeah, I said a little. Coming to the question asked at the start of the topic, can someone play Free Fire and still have the same experience as that of PUBG, my answer will be YES. Not exactly the same experience, but not less either. Don’t believe me? Go check out Free Fire. Links have been provided.